Our frameless sliding glass door systems are a top choice to improve the function and aesthetics of your residential property or commercial real estate investment. They provide uninterrupted views of the exterior layout and are able to glide open easily, seamlessly connecting the space between the indoors and out. Most conventional door systems can be heavy and cumbersome to open and close. Their frames or conventional sliding glass doors have a tendency to jumps off its tracks and become misaligned. They also tend to be heavy. This instantly ruins appearances, makes it difficult to cross from one area to the other, and may even pose a security risk. It is nearly impossible to fix a sliding doors off-track yourself because of how conventional sliding doors work. You will need to call a professional which can be a nuisance if you are running a busy company or are planning to entertain visitors. A better solution is to switch to a top-hung frameless sliding door system. Our top-hung frameless sliding glass doors feature a beam or header setting at the top. Underneath is the top track, where the wheels, positioned one above the other, glide along, stopping at either side of the door system in the side jams. You also have the option to cover the top track to conceal it after installation. At the bottom of the door is a lower track. 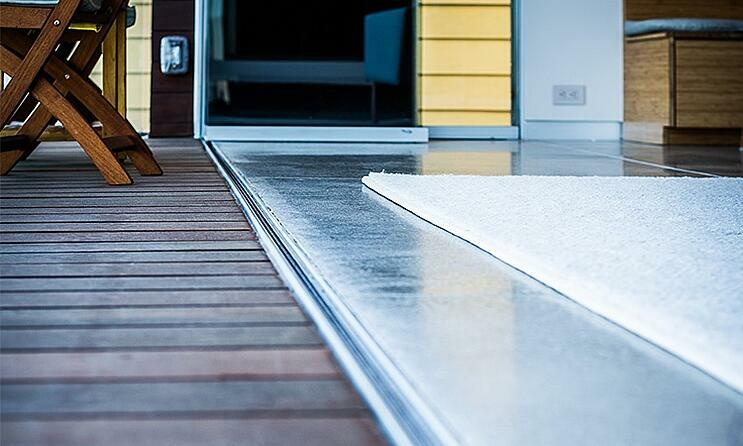 Recessed into a concrete slab, it is set into a bed of silkaflex and shimmed to the finished flow height, allowing it to sit completely flush with your existing flooring. The lower track, like the upper, features a set of vertically positioned wheels. Beneath the lower track, aluminum sill saddle flashing extends at least 2 inches up and down the wall and below this is a concrete slab or footing. Directly underneath the top track and above the bottom track are glazing channels. Between these channels lie the panels of tempered glass, completely free from frames. What makes top hung glass sliding doors so much better than regular sliding doors? Most important are the specially designed vertical (rather than horizontal) upper and lower wheels. As these are fully encased, there is no room for movement, meaning they are engineered to stay within their tracks. 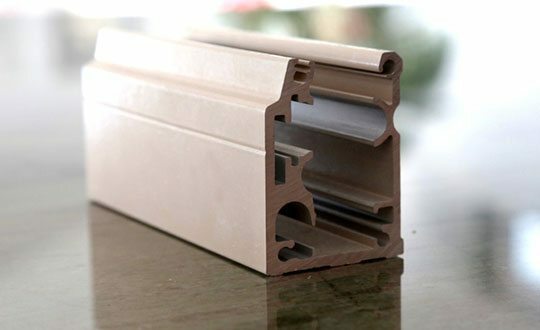 Another advantage comes from the glazing channels. These hold the glass panels inside, allowing the panels to slide seamlessly along both tracks. Finally, the design is custom fit at the top and the bottom for a perfect fit and everything is shimmed to ensure there are never any weight imbalances. They come in ½” double thick, Low-E, tempered, and laminated glass. They are weatherproof and feature specially designed weather strips to cope with even the harshest conditions. They have been performance tested to water penetration and wind infiltration. They can withstand winds of up to 222 miles per hour. They offer magnetized stacking to either side, simultaneously – left, right, or both. The panels are a mere 1” thick when stacked. Unlike other types of sliding doors and French doors, which only allow you to open the doors to about 40 percent, these doors open to a near 100% to make use of your entire space without leaving a large bulk of glass. They offer a fully secure locking system that lock from the inside only, unless you request an outdoor locking option. You also have the chance to add an alarm system. They increase your property value. Making the most of your floor plan, enhancing the sense of space, expanding your interior into the exterior, and improving views all contribute to greater property value for a home, restaurant, or other type of building. 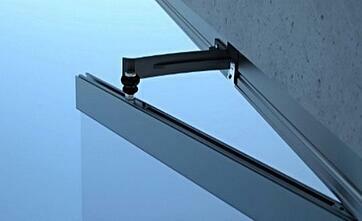 They have a completely recessed lower track for safer sliding glass doors. No uneven surfaces eliminates the risk of tripping and leaves nothing to step over. They offer a sound barrier, reducing noise pollution. The tempered and laminated glass is at least five time stronger than regular glass, meaning it is almost unbreakable. If your glass door does suffer damage from impact, it will maintain its cohesive shape rather than shatter, eliminating many of the risks associated with injury. You have the option to just partially open the door at any time. As top-hung doors are created with panels, you can open just one or a few of the individual panels to make gaps in the door. This allows for a natural flow of air for ventilation, which is particularly useful during the summer months. This system also makes it easier to clean the glass. Pipes measuring just ⅜ inch on the exterior side, placed in the right position to facilitate drainage. Glass tinting options. Choose from clear, bronze, light gray, green, blue, and special reflective coats. A choice of track colors to complementyour surroundings. Panels cut individually to fit to your building. A choice of angles. Possible seal angles are 45 degrees, 90 degrees, 120 degrees, 150 degrees, 160 degrees, 170 degrees, and straight. We create our glass sliding doors according to whether they are for interior or exterior use. 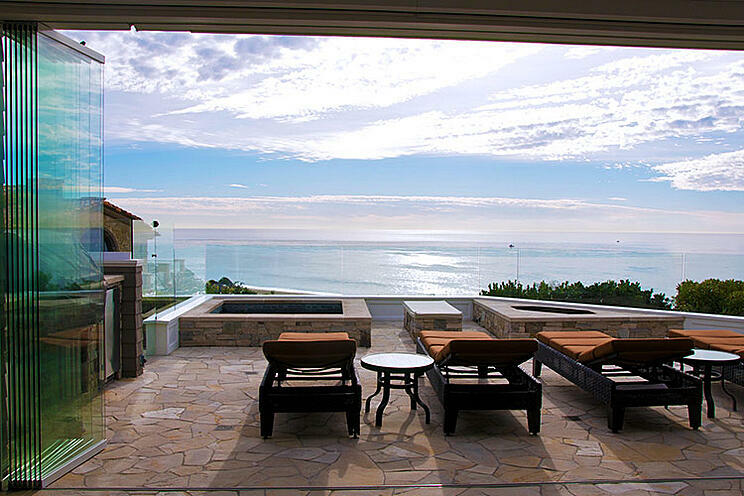 The above customization options make top-hung sliding glass door systems ideal for a range of settings. Never again rely on regular sliding doors that may jump off their tracks. Use top-hung doors to make the most of your space and optimize aesthetics. This article was originally published in January and has been updated with new material.